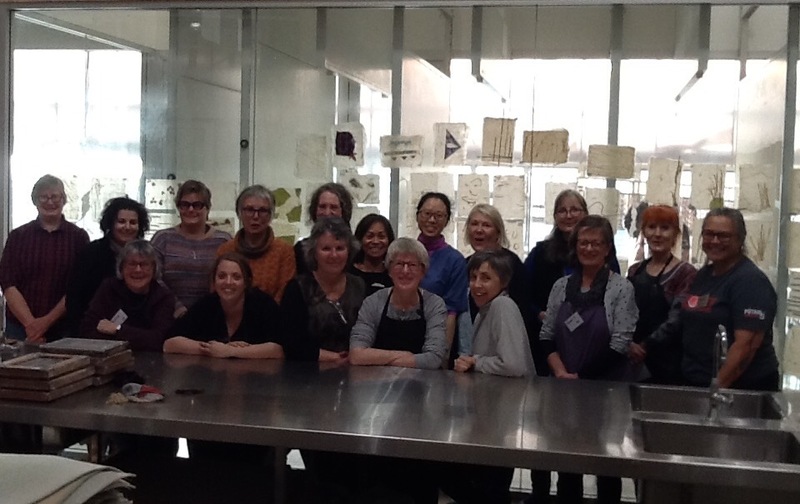 The 2018 paper on skin was augmented by a weekend workshop at Creative Paper Tasmania, hosted by New York-based artist, and paper maker specialist, Aimee Lee. Aimee Lee is the leading scholar and practitioner of hanji (Korean paper) in the English-speaking world. The workshop, Paper Secrets in Tasmania - a Hanji Making Weekend with Aimee Lee, focussed on Asian paper making techniques and Korean paper manipulation secrets. Students learned how to process raw inner bark of the mulberry tree to make paper in the Korean tradition. The workshop was booked out months in advance, attracting participants from along the eastern seaboard and as far away as New Zealand. Aimee certainly lived up to her reputation as a thoroughly engaging tutor, with a depth of knowledge and a skilled capacity to share, both at a group and individual level. In an exciting 'first', the cooking, rinsing, and beating steps were tested on native plants of Tasmania to experiment with new paper possibilities. . Pam Thorne and Jan Marinos did extensive research leading up to the workshop, experimenting on Tasmanian species to assess the inner-bark fibre in the hope of identifying a material resembling kozo. After much trial and error, the plant fibre with the most promise for hanji paper making was Tasmanian Native Hemp. Watch this space!